While the couple had been dating for over two years, Stacy, 33, is reportedly ready to settle down and have children and called time on her relationship with George, 52, because he has made it clear he has no wish to get married and start a family. A source told People.com: "Stacy called it quits. She wants to have children and a family someday. She knows where George stands on that. They talked and they quietly stopped being a couple several weeks ago." However, the split was not an acrimonious one and they are expected to remain friends. The insider added: "They talk every day. They were friends before they started dating and they'll be friends after. It was a friendly [breakup]." Along with their different goals for the future, work has also kept the pair apart in recent months, which contributed to their split. 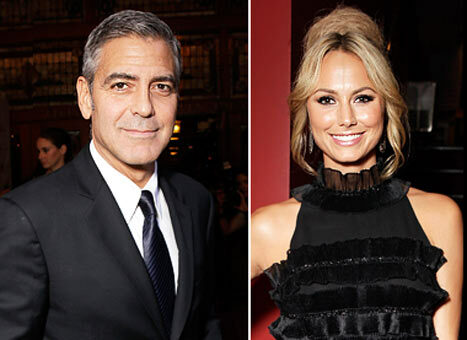 While Stacy remained in the US to work on her Lifetime show 'Supermarket Superstar', George has been working on the movie 'Monuments Men' in Europe.